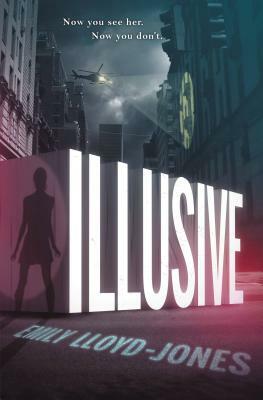 All of us here at Gallery Bookshop love Illusive!! And (this is the best part), since it is the first of a series, there will be more to come. Lucky for us, we won't have to wait long for the sequel. You won't want to miss this series; perfect summer read, perfect in the fog by the fire read, perfect read! The Umbrella Academy meets Ocean's Eleven in this edge-of-your-seat sci-fi adventure about a band of "super" criminals. When the deadly MK virus swept across the planet, a vaccine was created to stop the epidemic, but it came with some unexpected side effects. A small percentage of the population developed superhero-like powers, and Americans suffering from these so-called adverse effects were given an ultimatum: Serve the country or be declared a traitor. Seventeen-year-old Ciere Giba has the handy ability to change her appearance at will. She's what's known as an illusionist. She's also a thief. After crossing a gang of mobsters, Ciere must team up with a group of fellow super powered criminals on a job that most would have considered impossible: a hunt for the formula that gave them their abilities. It was supposedly destroyed years ago--but what if it wasn't? Emily Lloyd-Jones grew up on a vineyard in rural Oregon, where she played in evergreen forests and learned to fear sheep. After graduating from Western Oregon University with an English degree, she enrolled in the publishing program at Rosemont College. She currently resides in Northern California, working in a bookstore by day and writing by night. Illusive is her debut novel. Visit her online at emilylloydjones.com. *"Boasting a complex plot, heart-stopping bursts of action, and questions regarding human nature, Lloyd-Jones' thought-provoking, multifaceted narrative neatly sidesteps categorization as just another superhero or dystopian novel--though fans of both will be drawn to the material and be pleasantly surprised. An impressive debut guaranteed to disappear from the shelves before your very eyes." "Multiple plot twists and the present-tense narrative heighten Ciere, Devon, and Daniel's sense of paranoia as they struggle to survive in a world in which it is often difficult to tell the good guys from the bad guys. A thrilling read." "Ciere is an everyman heroine. Strong enough to survive on her own, yet still shy and vulnerable around the new boy, she is an appealing and approachable character...A fun and engaging read that instantly hooks. A sequel to this debut novel would be very appreciated." "Ciere...is a deeply sympathetic protagonist. Offer this to fans of Moore's V Is for Villain (BCCB 5/14); they'll enjoy a new look at superpowers the hands of teens too smart to trust the grownups who clearly have no clue how to manage a changed society."